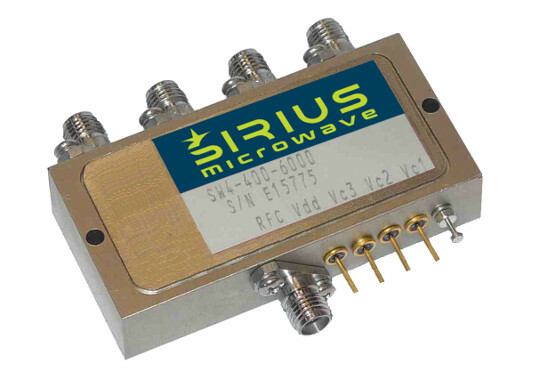 Sirius Microwave offers a variety of switches from 10KHz to 6GHz. Selection includes single to six throw, reflective and absorptive, PIN diode and GaAs MMIC designs. Contact factory for special requirements here. NOTE: Click on the model number to view a datasheet. You must have Adobe Acrobat Reader to view *.pdf files. Download Adobe Acrobat Reader here!